Japanese Brand, Majolica Majorca, has released two new, limited edition shades of Puff de Cheek for Summer 2012 in Cherry and Raspberry Macaron. Puff de Cheek’s original formula is a bit on the chalky side and I wasn’t terribly impressed enough to Muse Approve when I originally reviewed it but I must say that these new shades are worth a glance. This blush comes housed in a small tin shaped like a little French macaron with a ribbon puff for application. I admit the little puff is darling but not the most practical way to apply the blush but hey, props for girlishly delightful packaging! Unlike the original formula this has a smoother, silkier feel and surprise, surprise a tiny hint of sparkle. I don’t think I own a single shade of MJ blush that has sparkle and I believe I pretty much own all of them! This is novel! I felt like the original shade I tried out wasn’t terribly unique from the line’s standard blushes but Cherry Macaron is something to rave about. This has a silkier texture in an easy to blend formula that has a very nice wear time. Cherry Macaron quite reminds me of Tarte’s Amazonian Clay 12 Hour Blush in Frisky. This shade is a bright cherry coral. I don’t have many shades like this in my stash so I’m glad I picked it up as it gives a very nice flush of natural color to cheeks. 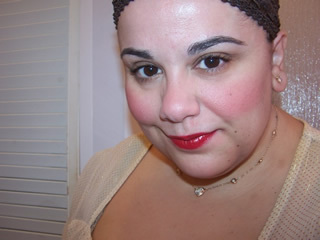 It’s also quite pigmented where as my last shade of Puff de Cheek had to be built up a bit for the best color pay off. This one deserves a Muse Approval! I think the shade is unique enough to warrant a purchase and I love the formula on this as it proves far more superior to the single color I tried in the general catalog selection. 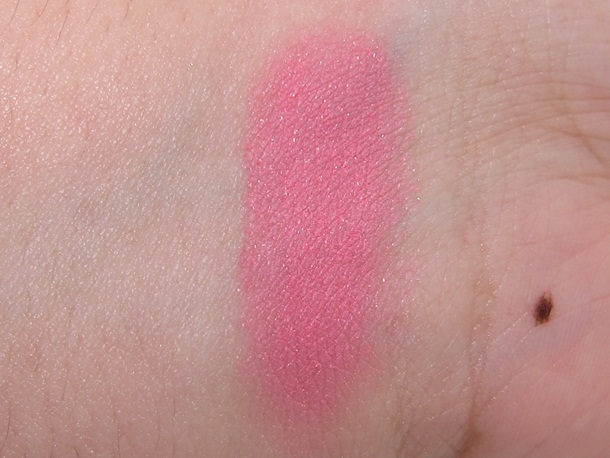 Overall, a cute and very functional blush. I got mine directly from Japan but I’m seeing them all over online shops for around retail pricing. Wow that’s such a beautiful shade ! it really is laura! worth a haul imho! aw thanks christine! do buy it, it’s adorable ;D! oooh pretty – likey likey – I really like some of the things from this line and you are my primary source for leaning about it. Thanks for the heads up. Where is the best place to buy this brand online? Any suggestions? Love everything from Majolica Majorca. Good color! I also wanna buy it! Love Love Cherry Macaron!! I like how you do your blush on these reviews. Its very bright yet it totally works and seems natural and gorgeously doll-like on you. I am wondering what brush you use to apply and your application technique. me too taffy gorg shade ;-D aw thank you! I’m not expert in all honesty. I use a dome shaped bobbi brown blush brush, smile, and just dab dab dab on cheek bones. Hi Muse! How would you compare this to Tarte’s Adored? They look quite similar to me but I wonder which is better for fair skin.